Employed as a surgeon by the Dutch East India Company, the Swedish botanist Carl Peter Thunberg left Amsterdam in December 1771. 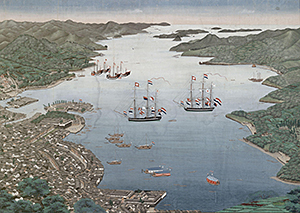 Via South Africa and Java, Thunberg arrived in Nagasaki, Japan, in August 1775. During the Tokugawa period of seclusion, the Dutch were the only westerners allowed contact with Japan. However, exchange was restricted to the small artificial island of Deshima in the Bay of Nagasaki. Confined to Deshima for much of the time, Thunberg was eventually allowed ashore to make botanical excursions in the Nagasaki area. In the spring of 1776 Thunberg travelled with other company representatives to Edo (current Tokyo) to pay his respects to the emperor. This journey, around 1000 km and back, provided ample opportunities to study and collect plants. Thunberg left Japan in November 1776. Stopping in Java and Sri Lanka, he reached Amsterdam in October 1778 and finally settled down in Uppsala in the spring of 1779. In 1784, Thunberg published Flora Japonica, the first flora of Japan. This book treated 816 plants (including fungi and algae), several hundred of which were described for the first time within the Linnaean classification system. He was appointed professor of medicine and natural philosophy at the University of Uppsala in 1785, succeeeding Linnaeus the younger. 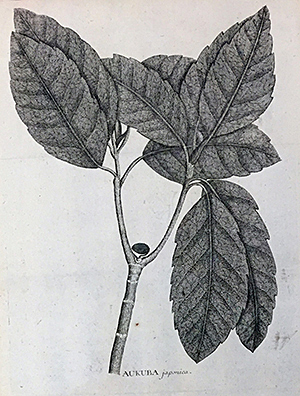 Several of Thunberg's descriptions of Japanese plants first appeared in Johann Andreas Murray's Systema Vegetabilium, which preceded Flora Japonica by a few months. In the years to come, Thunberg published numerous smaller papers and theses with additions to the flora of Japan. An amended and adapted version of Flora Japonica translated into Japanese, named Taisei Honz&omacr; Meiso, was published by It&omacr; Keisuke in 1829, the year after Thunberg had passed away. Taisei Honz&omacr; Meiso contributed to the introduction of the Linnaean classification system into Japanese biology. Thunberg's main botanical collection is housed at the Museum of Evolution at Uppsala University, Uppsala (Sweden), where it is kept in a separate room together with other historical collections. It is comprised of around 28000 specimens, including the Japanese ones. Thunberg sent Japanese specimens, almost exclusively duplicates from his own collection, to selected colleagues in Europe during his travels or after his return home to Uppsala. 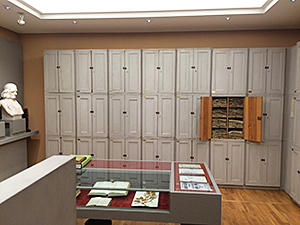 Significant amounts of Japanese specimens, around 50 or more, are nowadays found in the herbaria at the Swedish Museum of Natural History in Stockholm (Sweden), Botanical Museum in Lund (Sweden), Naturalis in Leiden (the Netherlands), and at the Conservatoire et Jardin botaniques in Geneva (Switzerland). There are also scattered Japanese specimens in several more herbaria around Europe.